Want to “live the dream”? Do you feel like traveling the world, meeting people and teaching scuba diving? Looking for a seasonal job or a lifelong career? Bring your passion for the ocean to the next level with the Instructor Development Course (IDC)! The course is made up of two parts: the Assistant Instructor (AI) course and the Open Water Scuba Instructor (OWSI) course. 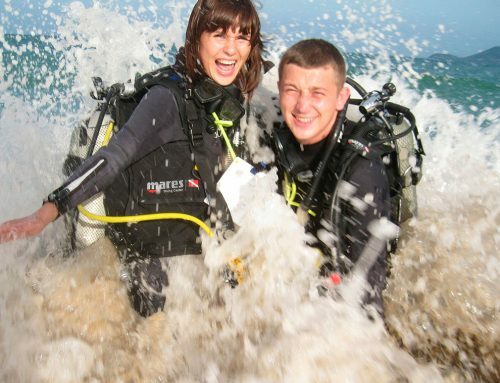 By completing both you could attempt the Instructor Examination (I.E) and become a PADI Instructor! Looking for an Assistant Instructor course only? Contact us for details! Be certified Divemaster and as an Emergency First Response (EFR course completion within the last 24 months), or equivalent qualifications from another training organization (contact us). Have 60 logged dives or more (to get certified you need a minimum of 100). The IDC course is scheduled over 10 – 14 days including EFR Instructor course (required). Sailing Club Diver runs the IDC with Rainbow Divers’s Course Director Jeremy P. Stein. Jeremy was one of the 1st Platinum PADI Course Directors in the World and still retains this high accolade today. He is English and Sailing Club Diver’s Senior Instructor-Trainer, working closely with the SCD Management + Pro-Team to offer top training. Contact Sailing Club Divers to know more about Scuba Diving internship programs in Nha Trang!